We want it to be easy for our users to talk to each other. That's why we've created a community blog called the Angelfire Club. Connect with other site builders to share ideas and learn new tips and techniques! And if you have a question, there's a good chance someone in the Angelfire community has the answer. 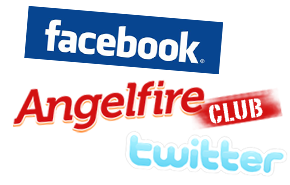 Be sure to check out our Team Blog to get updates and site building tips directly from the Angelfire staff. Also, check us out on Facebook and Twitter for news and updates. It's great to connect with other site builders to share ideas and learn new tips and techniques to help make your website even better. And if you have a question, there's a good chance someone in the Angelfire community has the answer.